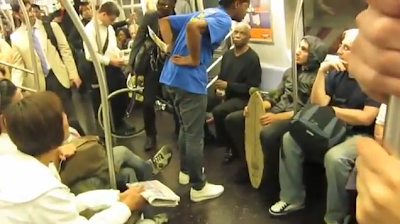 Gay Dude On Train Argues With Old African Man & Skater Dude! "I Will Fight Like A Cat On A Hot Tin Roof, You Don't Want It!" "I'm A Diva..I'm A Mafia Princess!" LOL @ "i'm a mafia princess"